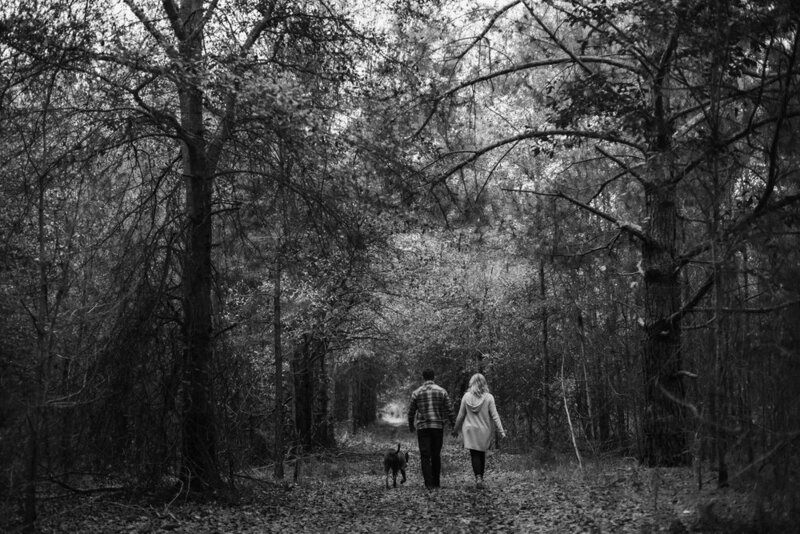 I took a little trip down to Marks, MS to photograph Madison and Carter and to explore a beautiful patch of land full of trails, changing leaves, deer, and untouched beauty. Carter knows every inch of the 800 acre property that we spent adventuring through, and gave me the full tour. I literally can't even wrap my mind around how beautiful nature is and all the colors that it creates just with the change of a season. I loved getting to photograph these two on their property and document their engagement this way, because this land means something to them. This is a special place that they will always have in their hearts; they can re-walk these trails, roam the woods, watch the leaves change every year here, visit these same special spots and together and maybe even eventually walk with their children and grandchildren here. Thank you guys for inviting me down to Marks and for taking the time to show me around and let me pet your sweet pup <3 SO ready for your wedding next October! "When I met Carter it was during the fall and during hunting season, so anytime we wanted to hang out we just met at the ranch, it was closer to me (I was living in Cleveland) and he was always down there hunting. I always loved going because it was beautiful, quiet, and this is really where it d of all started. One weekend I went down there after we first started dating and he took me hunting. It was probably 36 degrees outside. He gave me all of his hunting clothes to wear and a buddy heater, all he had on was blue jeans and a flannel. We sat out there for 3 hours. He said he knew he loved me then because I was so loud and he was freezing. We saw 0 deer or any sign of life at all might I add. I knew I loved him because I am not a huge fan of hunting or freezing or my phone dying but I would tolerate it just for him."